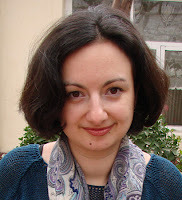 Suzanna Fatyan, one of Uzbekistan's finest tour guides, takes up the challenge of exploring vegetarian options in Uzbekistan - a cuisine dominated by meat. She also revisits Samarkand and Tashkent restaurants and cafés, this time checking out the vegetarian dishes. Uzbekistan is a country travellers visit for its four seasons. But late spring, early summer and autumn are the best for coming to this beautiful land. Not only for wonderful sunny days and pleasant evenings, but also for seasonal organic fruit and vegetables. Uzbek cuisine mostly consists of meat courses. However, vegetarian visitors will never feel deprived travelling around Uzbekistan. 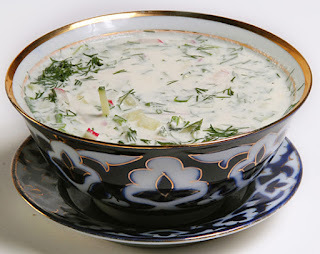 Every Uzbek choykhona (tea house), café, and restaurant will amaze you with a choice of fresh salads like achichuk (shakarop, or Uzbek salad), turf chakka (sliced summer radish served with traditional yoghurt), chalop (cold soup, mixture of chakka/suzma yogurt and greens, or cucumbers), carrot and walnut salad, very delicious beetroot salad (also frequently served with walnuts), excellent fried or grilled aubergines, tomatoes, potatoes, fried cauliflowers, squashes and many more. Bazaars and some restaurants also offer a good choice of Korean salads. In Samarkand, travellers may find a true speciality: anzur, onion picked in the mountains and marinated according to a special, complicated recipe. This wonderful starter can be found in almost any osh khona (plov place), or at Siyob market (Samarkand’s bazaar). Serving marinated or pickled vegetables is common for Uzbekistan but anzur is a *must try* for everyone visiting Samarkand! Cereals are also widely used in Uzbek cuisine. For many travellers it is the first time they meet some of these cereals. For example, mosh. When people face mosh at a bazaar they frequently associate it with black lentil, which it is not. Mosh is known in many countries as mung bean, green gram and golden gram. The cereal is common in Chinese cuisine, where it is served as a dessert. In Uzbekistan, it used for cooking substantial meals like mosh kichiri (porridge) and mosh hurda (soup), both of which contain meat. However, many places serve meat-free versions of both dishes. Mosh is also part of Korean cuisine: at most bazaars you may discover germinated mung beans in the Korean salads area. Another exotic cereal one can find is guja (white corn). Used for cooking wonderful soups, it may contain meat but a meat-free version is also available in many places. Russian buckwheat porridge is popular in our country as well. It is served in most cafés and restaurants. I recommend you combine buckwheat with traditional yoghurt (chakka/suzma), kaymok or sour cream (smetana). Rice is used not only for cooking palov osh but also osh ba jurg'ot and shir birinch (rice milk porridge). By the way, rice pumpkin porridge is also a *must try* starter. Very delicious. 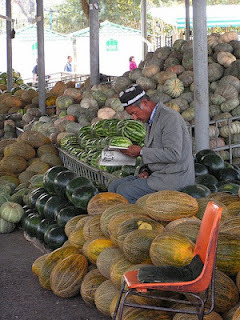 If you visit Uzbekistan in autumn, you must try local pumpkin. Pumpkin mountains attract your gaze immediately you enter the market. Pumpkin may be baked or used in home pastries, but the most delicious to my mind is manty (steamed dumplings) filled with pumpkin. In addition I would recommend manty filled with mashed potatoes and fried onion, mixed generously with black pepper. Desserts deserve special attention! 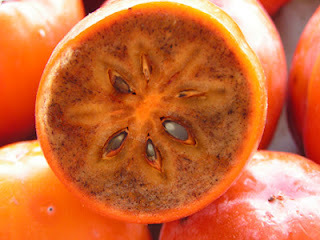 They are found at every market of Uzbekistan: wonderful peaches, apricots, apples, plums, figs, persimmons, and grapes. Plus fabulous melons and watermelons that must be tried in every city because of the different variations. Note: never combine fresh fruits and water! It may cause discomfort in your stomach. Green tea is the best combination with fruit on hot, sunny days. Different kinds of nuts and raisins will ensure you won’t starve during long and adventurous trips. Local bazaars are rich with excellent pistachios, almonds, walnuts, peanuts. Often they are covered with sugar glaze or sesame seeds. Yummy! Prunes, raisins, dried apricots, dried melons, Central Asian dates and figs also make a delicious conclusion to any meal or may even be a starter. If you take famous Uzbek dried fruits and nuts home, you can make a very healthy speciality from them. All you need are ground prunes, dried apricots, walnuts and lemon rind. Just mix them together with honey and have a teaspoon every morning. It will enrich you with energy for the whole day and remind you of the warm Uzbek sun. You are already familiar with some restaurants I described in my previous articles (see links below). I would like to add a few more to the list. I start with my native city – Samarkand. A café I discovered recently is Sharqona. It is located in a wonderful 19th century part of town at 15 A.Navoi Street, walking distance from Pokrovskaya Church. (Tel: +998 90 656 01 10, +998 66 938 72 08). Sharqona offers traditional Uzbek guja. You can enjoy it sitting outside on warm Uzbek evenings. Another restaurant offering good choices for vegetarians is Exclusive at 92 A. Timur Street, (tel. +998 66 233 60 90). Exclusive serves excellent horovatz (grilled aubergines, tomatoes, fresh onions and vinegar), lavash with brynza and greens, potatoes with garlic (very delicious), different variations of dishes with mushrooms and homemade red wine. Zlata Praha opened a new place – Bar BQ Zlata Praha, right in front of the Korzinka supermarket, at 59 Mirzo Ulugbek St. I know with a name like Bar BQ it sounds like a meat place, and it is. But Bar BQ Zlata Praha offers a good choice of meat-free soups (onion soup, tomato soup, lentil soup), sea food and variations of cheese. Fried cheese is one of my favourites. For dessert, the restaurant offers chocolate fondant, fried pineapples, excellent apple pie and good coffee! Walking around Samarkand city centre, in particular the A. Timur street area close to A. Navoi (formerly Lenin St ) please do not miss Кафе located in a 'communal court' between Smak shop and Copy Club office. This cosy café run, by a Korean family, offers fabulous salads, pickles and chalop (cold soup) along with refreshing homemade kompot. And they have a 'live menu': it means you chose everything from a colourful and delicious tray brought right to your table. You see, food passion has no language barrier! I suggest you visit the spot a bit before rush hour to ensure you get a table, as It does not accept reservations. 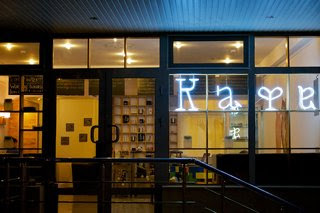 Кафе is open only until 3:00 p.m. and closed on Sundays. For a relaxed atmosphere, delicious rice and grilled vegetables, plus excellent mojitos, I recommend Rubai at A. Navoi St (formerly Lenin St). Entering Rubai from A.Navoi street you might have an impression of a fast food joint, but you should skip the fast food part, enter a 'secret' door and go upstairs. Even on a hot and sunny day you feel like you are in an Oriental marquee, protected from the heat in this little, charming place. Rubai is a mixture of local and Moroccan styles with a touch of Europe at the same time: a true melting pot! I would like to add two more to my list of favourite places in Tashkent. Jumanji is a long-established Tashkent restaurant. It is located at the intersection of Yunus Khos Khodjib Street and K. Jalilov, right near the Bek Hotel. Its website includes an English menu, with a separate vegetarian section. Highly recommended are the aubergines with walnuts inside: this traditional Armenian snack is usually made at home and is quite a treat to have in a restaurant. Jumanji is good for dinners, when you are done with sightseeing and can afford to forget about time. The place is rather spacious: try to get seats near the fountain. 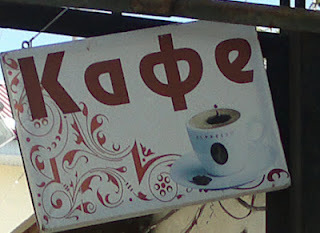 One of the highlights in Tashkent is a café known as Кафе. We have two Кафе in today's list! This café was opened recently and shot to fame by using Facebook to promote itself. Nowadays it’s the most popular café in the city, offering not only excellent desserts and coffee but also a good choice of quiche with mushrooms, spinach or cheese. Кафе is rather hidden, located in the Avtodorojnyi Institute neighbourhood, near the dance school of Zlotnikov at 23 Shakhrisab St. For reservations and directions phone Кафе on +998 94 661 36 37. And please do not miss the green tea coffee! It’s so helpful in the 45-degree Celsius days of peak summer.